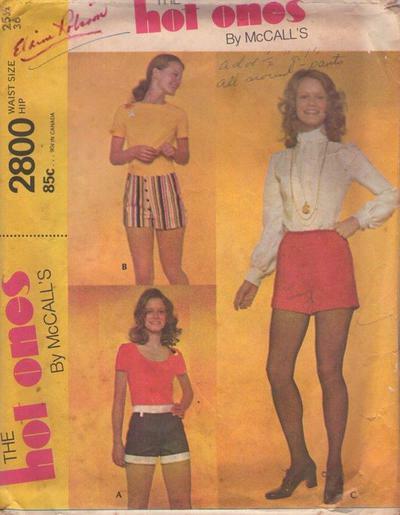 1971, 70s Disco, Retro Fad Clothing Patterns - Shorts A or B have zippered front opening, button trim or buttoned waistband, carriers and cuffs. Shorts C with waist elastic are self cuffed. Hot pants!